Despite the official arrival of spring, snow still lays deep in many parts of Vermont. Forget the grammar, think of parallels with John Hadden, mesmerizing ! 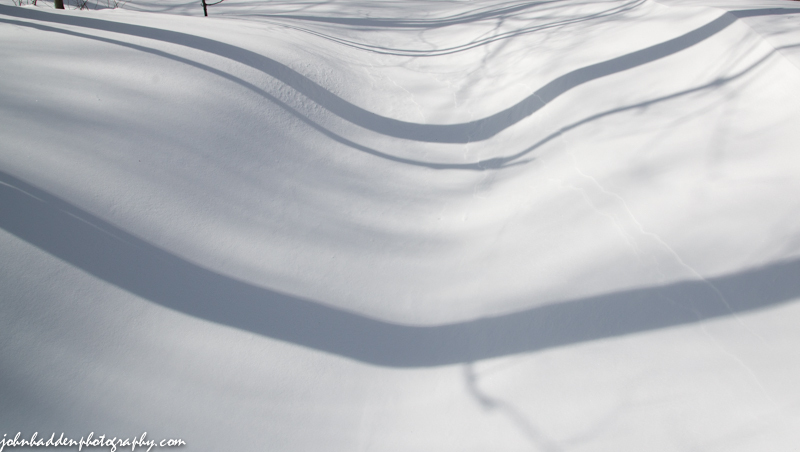 Yah, I was struck by how the form of the drifted snow altered what would otherwise be parallel shadows. Nature does lovely things!